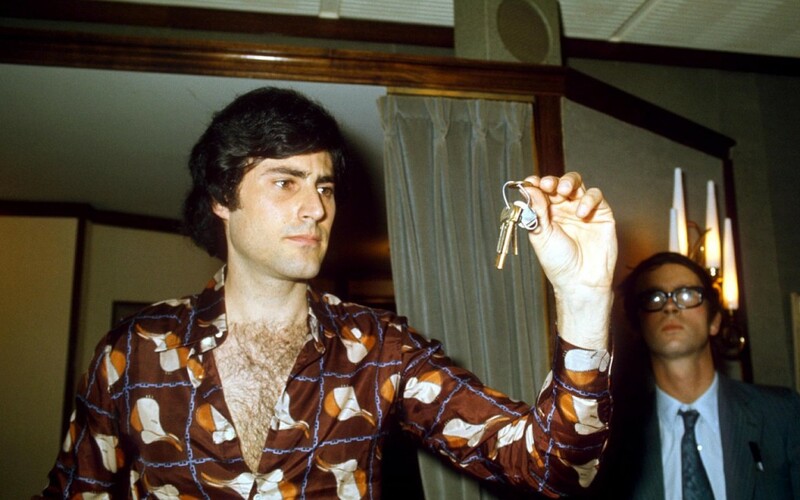 I am in Uri Geller’s new home on the outskirts of Tel Aviv to discuss the recent CIA revelations that a battery of tests in the 1970s concluded he was indeed psychic. I nod, politely silently thinking, ‘Paranoid nutters’. Days later the Wikileaks story breaks that British spies have helped the CIA convert the everyday smart technology we have in our homes into listening devices sending conversations to secret servers. Crikey. It’s a mollifying moment. But then hindsight (unlike second sight) only kicks in after an event. It’s easy to believe any theory, however outlandish it seemed at the time, once its veracity has been established. In January of this year, an extraordinary series of declassified CIA documents revealed the results of a week of experiments it conducted on Geller over eight days in 1973, during which he was tested for “clairvoyant” or “telepathic” abilities. The conclusion drawn was that he did indeed possess paranormal skills. Geller, who was kept in a sealed room, showed he could “read” minds by copying complex pictures drawn elsewhere; in one case hundreds of miles away. 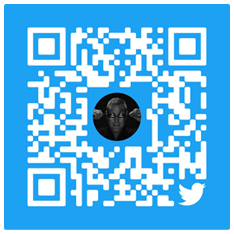 He bent metal objects and planted thoughts in other people and claims that those who tested him witnessed poltergeist activity when items disappeared and re-materialised and were left baffled and in some instances, frightened by what they saw. Since the news broke, Geller’s phone has been ringing off the hook. The story has been picked up by newspapers and broadcasters across the globe, but he has elected to speak to The Telegraph; a fair hearing can often prove elusive. Despite moving back to his native Israel 14 months ago with his wife of 50 years, Hanna, Geller’s emotional ties to Britain – he lived in the UK for 33 years – remain strong. But the nature of his ties to the British establishment remain shrouded in mystery. Take his prediction, a full three and a half years ago, that Theresa May would become Prime Minister. As Home Secretary she was visiting his then home at Sonning-on-Thames, when he had a premonition. “I took her out to the Cadillac in my garage, which is covered in bent spoons from every era and owned by every famous person you can think of,” he says. May demurred and deflected, murmuring that wouldn’t be happening because David Cameron would be in the top job for a long time to come. Geller, in turn shook his head, repeated his assertion, and the rest is history. But why was the then Home Secretary visiting Geller, I wonder? She surely didn’t drop by for a display of spoon bending – although I bet she got one, because it is, quite frankly, as irresistible to witness now as it was in 1973 when he appeared on the David Dimbleby Talk Show. That night he bent cutlery and restarted stopped watches from Land’s End to John O’Groats and we took him into our hearts. So much so, he moved to Britain, gained citizenship and brought up his now adult children here. “I can’t tell you why Theresa May wanted to see me back then or whether I am working with any intelligence agencies now” says Geller, who has a frustrating habit of intimating without elaborating. Given the scientific evidence, maybe we should have slapped an export ban on him so he could guide us through Brexit, telepathically altering the odds in our favour. After all, he cites as his finest hour the occasion when the US defence department flew him to Geneva in order persuade the Russians to sign a nuclear treaty. He bombarded them with the single thought “sign, sign, sign”. And they did. By comparison Jean-Claude Juncker and Enda Kenny would surely be a shoo-in. “The declassified documents released by the CIA in January are only the tip of the iceberg, really. I was tested by Mossad and by M15 and MI6 as well. As for any current involvement, I cannot confirm and I will not deny it. Again, this sounds hyperbolic, but that doesn’t mean it’s not true. Frankly, those of us born before the advent of the internet, contactless payment and driverless cars have already lived through the astonishing confluence of science fact and science fiction. “You know, I believe M15 was behind my invitation to appear on David Dimbleby,” he says, out of nowhere. As we now know Geller underwent psychic investigation as part of the Stargate programme to see whether “remote viewing” – seeing things through time and space and bringing back information – could be used in Cold War intelligence gathering and to discover if the power of the mind could be harnessed to trigger nuclear weapons. Geller admits to erasing floppy disks being sent from Mexico to Moscow, to making radish seeds sprout by willpower alone and to stopping non-human sperm from moving. But he will not talk in any detail about nuclear matters. The 2009 film The Men Who Stare at Goats was based on that research. “The real story is that I was led into a room in which there was a pig and I was told ‘we want to see the pig dead when we came back’,” he says. “That’s when I realised they wanted me to stop the heart of the pig, which is similar to a human’s heart and it scared the hell out of me: I mean, I’m a vegan,” says Geller. We’ve met before, Geller and I, several years ago at Sonning. I was struck then by the extraordinary charisma of the man, who somehow radiates both great energy and an uncanny stillness. What fascinated me then and still does is the way he can flip from guarded spook to roar-of-the-crowd showman without turning a hair; first he bends a spoon for me, then he writes the name of a European city on a piece of paper and plants the thought in my head. I correctly state Paris, but then I wonder aloud if it was a fluke. He draws a shape on paper and conveys it to me as I draw a shape of my own; we have both scribbled identical pyramids, blocks and all. When we compare pictures, the hairs on my arms prickle, despite the early afternoon heat. Geller smiles. The contrast with his bombastic home by the Thames, modelled on the White House, could not be greater. His apartment in Jaffa is modest in scale but breathtaking in location. Inside it is furnished courtesy of Ikea but the roof terrace offers 360 degree views. These day he gives motivational talks, personally answers the hundreds of emails he receives a day from across the world. He opens one at random: it is from a British woman thanking him for his help in buying a house. He has also bought a building near his flat, in which he plans to house a museum dedicated to his life and achievements. Inside, his Cadillac will enjoy pride of place, outside will be a specially-commissioned giant spoon. If that sounds frivolous, then it is by intent. The murkier side of the paranormal world is hardly the stuff of tourist attractions. “There’s a major network of scientists and secret intelligence agencies who are concentrating on getting ten people like me to concentrate on one city and blow it into a black hole, making it disappear,” he says. Do we believe him? Should we believe him? Hand on heart I have no idea, but I think we can all agree it’s really cool to be able to bend spoons.